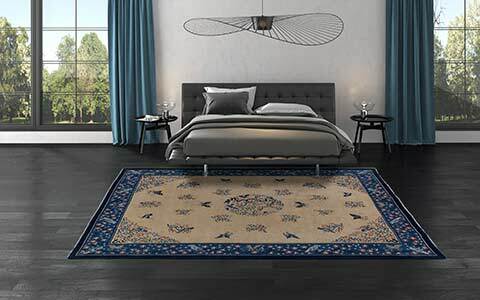 In the month of April 2017, we present you a very special rug made of 100 % Himalaya highland wool. It is characterized by a natural look and a particularly gentle pile. This is mainly due to the special wool blend: two thirds untreated raw wool and one third gentle and environmentally friendly dyed wool. 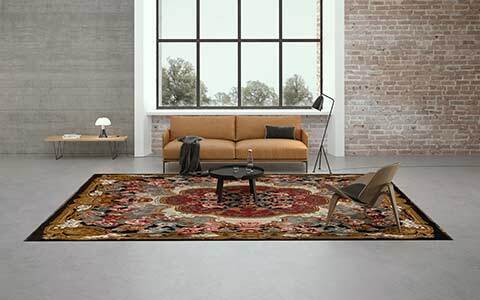 The rug of the month is part of the new Sathi Collection, which inspires by a wide selection of woolen rugs with an attractive and rustic look. Sustainable and fair - this is probably best description of the Sathi R1235-1. The production by hand takes place under fair conditions in a Mischioff manufactory in Nepal. This is guaranteed by the Fair-Trade Label STEP and their regular checks and certifications. The name Mischioff stands for the high standards of responsible carpet production and a fair carpet trade. The environmentally friendly and sustainable character of our rug of the month bases on the use of untreated raw wool. For the rustic look, a coarser knotting is responsible (about 90.000 knots / m²). The raw wool provides varied, purely natural colour traces, which create an exciting and natural look. 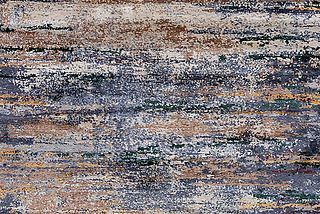 Like all the rugs of the collection, the Sathi R1235-1 reflects the distinctive appeal of naturalness. 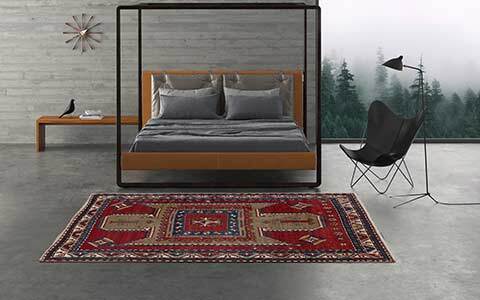 With its "rough edges", the rug fits ideally into natural facilities. For the design, the designers Dani and Sascha Misio have been inspired by decorative ceramic floor tiles from the Mediterranean. The innumerable, natural brown and beige tones and the harmonic patterns in soft blue tones create a natural yet fresh look that is ideal for Mediterranean or country-style decor. 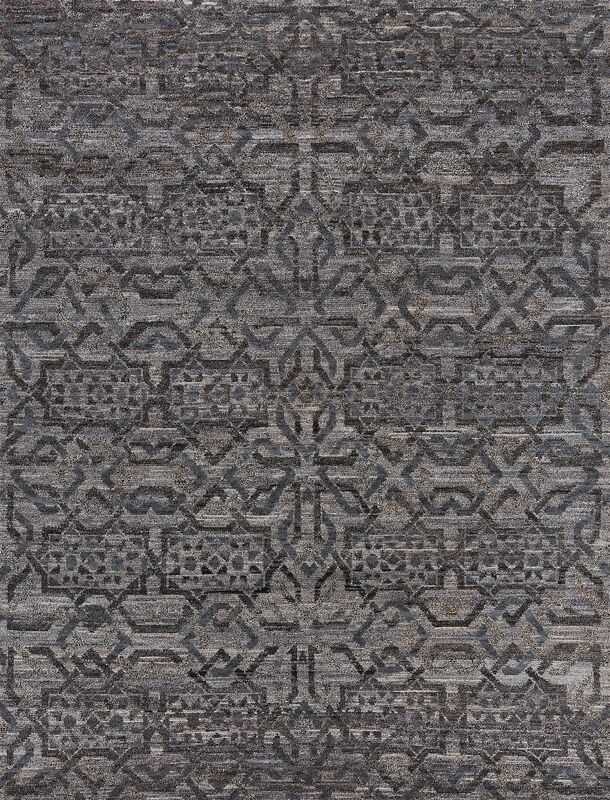 Rugs Of The Sathi Collection For Your Carpet Range! 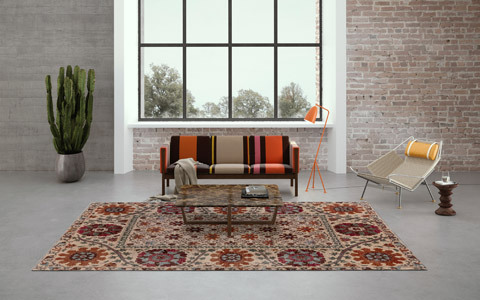 Complement your carpet range with very special rugs with rustic charm and changeable designs. 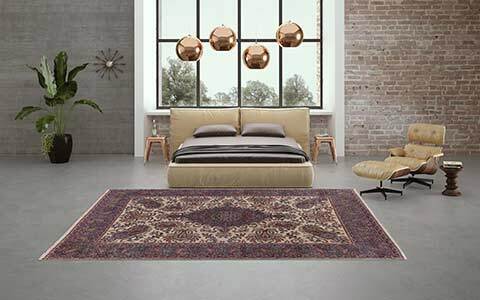 The lower number of knots of the Sathi Collection allows a faster production (two to three months) and the rugs are available at a lower price against finer collections. 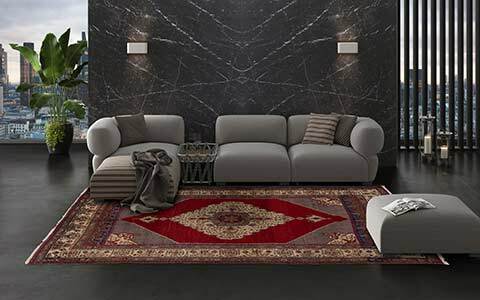 The collection offers a large number of contemporary designer pieces with a dense and gentle pile (pile height of about 10 to 12 millimeters), providing a high degree of comfort and a modern living ambience. The carpet of the month is orderable in the standard sizes of 300 x 230 cm and 250 x 185 cm as well as in the desired custom size. You can also find information about the versatile plain carpets in various basic colours and beautiful colour sequences in the Sathi Plain Collection. Please do not hesitate to contact us - we look forward to your inquiry! If you are a private person and interested in the new Sathi R1235-1, then we gladly help you to find an authorized Mischioff partner in your local area. Please use our Where-To-Buy search on our website.